UP Applied Geodesy & Space Technology Research Lab. Leading the Philippines in applied geodesy and space technology research and development. Welcome to the AGST Lab website! The Research Laboratory for Applied Geodesy and Space Technology (AGST Lab) is the pioneering research laboratory of the Department of Geodetic Engineering & The Training Center for Applied Geodesy and Photogrammetry (DGE & TCAGP), College of Engineering, University of the Philippines, Diliman. This laboratory conducts research in applied geodesy and space technology applications such as geoid modeling, remote sensing observations, processing and analysis, geographic information systems (GIS)-assisted environmental monitoring and modelling, among others. The laboratory is equipped with modest set of computer and hardware for field measurements, image processing and geospatial analysis. 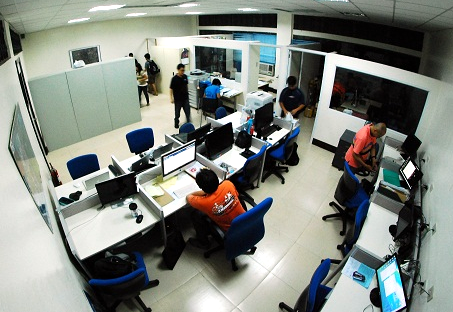 Graduate students of the MS Remote Sensing/MS Geomatics Engineering (MS RS/MS GmE) program make use of this facility to do their research on remote sensing and GIS applications. The AGST Lab. welcomes graduate students and researchers in the fields of Remote Sensing, Geographic Information Systems (GIS) and Geomatics Engineering and its closely related fields to be part of this laboratory. To know more about us, our staff and facilities, current researches and even the latest news, click on the navigation bars on this page.